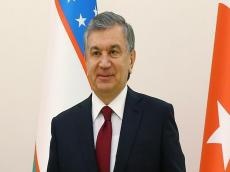 President of Uzbekistan Shavkat Mirziyoyev will visit Azerbaijan, Trend reports via UPL24 information portal. While the exact date of the visit is unknown, but it is reported that it will be soon. The report noted that the information on the upcoming visit was also confirmed by the Minister of Economy of Azerbaijan Shahin Mustafayev, who is on a visit to Uzbekistan. Mustafayev and Deputy Prime Minister of Uzbekistan Eler Ganiyev discussed issues related to the visit. During the meeting with the Azerbaijani minister, Ganiyev noted that the Uzbekistan hopes for further improvement of economic ties between the two countries.